There are big cities in the world and then there is San Francisco. The city that stands for its rebellious nature. The city and its suburbs, famously called the Silicon Valley have changed the lives of pretty much everyone in the world. It is the technology capital of the world and yet it maintains its roots to the hippie culture. In fact many would agree it is the culture that makes people invent things that they cannot invent anywhere else. San Francisco, called by the locals as just the “City” is a tourist heaven. There is Pier 39, Crooked Street and of course the most important landmark — the Golden Gate Bridge. All tourists go to the Vista point of Golden Gate Bridge, capture touristy photographs of the iconic Golden Gate and San Francisco and move on. Most of them miss another iconic bridge seen — the Bay Bridge which connects Oakland to San Francisco. I took this photograph almost a decade back as I went to the very same touristy Vista point and was looking at the views of the city. 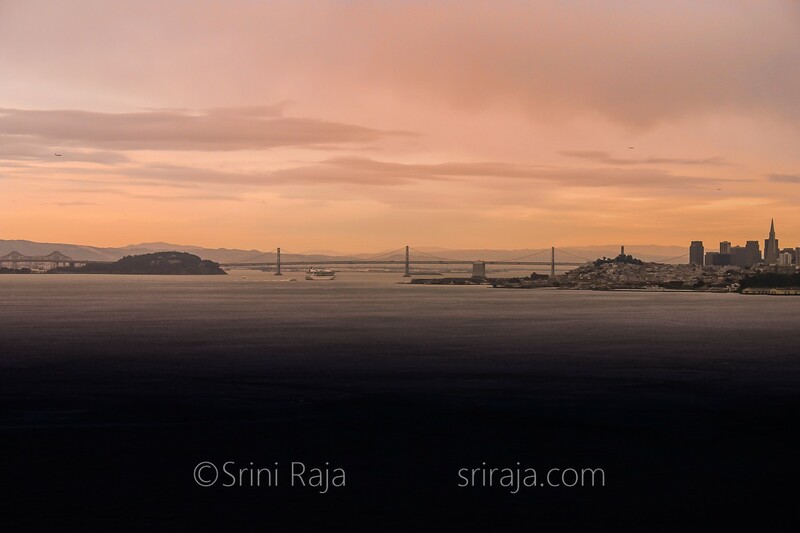 At a distance, I saw a cruise ship going near the Bay Bridge and captured this photograph. This photograph disappeared pretty much in the mountains of photos I have in my hard disk. With the recent re-organization of my photographs, I discovered this beautiful photograph.